Burlap is everywhere these days. 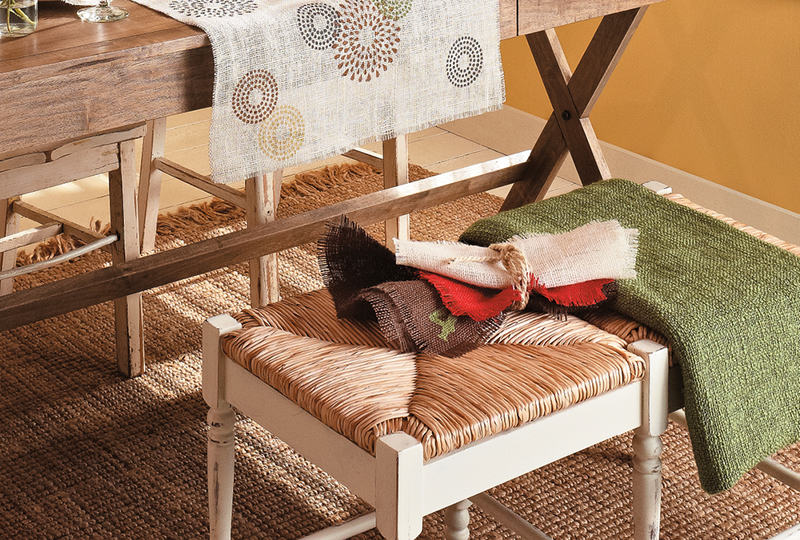 From fabric stores to home decor catalogs, burlap is a hot item and is showing up in many DIY projects. Last week’s eNote walked you through stenciling burlap with paint and yesterday we showed you three more burlap projects. Today, we’re still talking burlap, but we’re giving you our favorite sources for purchasing. Most of these sites let you buy it by the yard, but there are also sites that offer burlap in larger wholesale quantities. Most of the projects we’ve done were on craft-quality burlap. The material retains burlap’s appealing natural look and eco-friendly attributes but is softer and more tightly woven than the traditional jute fabric. Most art supply and fabric stores stock many burlap options but you can also find natural-looking burlap at your local home center. Even though natural-toned burlap is the most common, you can also find burlap in bright, bold colors. We love that the color selection is so large because it means finding the perfect color no matter what the season! If you love the look of burlap, but stenciling isn’t your thing, don’t worry! Burlap’s popularity has grown so significantly that it is now being offered in patterns. We love these black-ink geometric patterns.